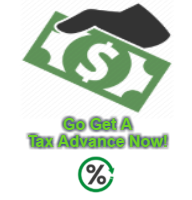 Knowing the dangers of getting a tax refund advance is very important before getting one! As tax season is here again, consumers can take advantage of Tax Refund Loans or otherwise known as Refund Anticipation Loans (RALs) which are advertised heavily by many tax preparation firms as an “instant” refund. However they are really nothing more than very expensive short-term loans. With tax booklets arriving at local libraries, the enticing TV and radio ads have begun, encouraging taxpayers to apply for a speedy Refund Anticipation Loan (RAL). But before you go running to the nearest tax preparation company, be aware of the high costs associated with a tax refund loan. There are other speedy options out there that are completely free for filing your tax return. Taxpayers who use tax refund loans are paying a high price to borrow their own money. These tax refund loans have high, often hidden costs. Before borrowing your own money because you cannot wait for a refund, make sure you understand how much it will cost you to borrow your own money ahead of time with a tax refund loan. Taxpayers can visit any free tax preparation site, commonly referred to as VITA, where they can have their taxes electronically prepared for free. By e-filing a return, the refund can be directly deposited into the taxpayer’s checking/savings account within a matter of days, all free of charge. But if a person does not have a checking/savings account, they usually go to a paid tax preparer and pay for a tax refund loan in order to have money in their hand fairly quickly. To help the ‘unbanked’ avoid a tax refund loan, several dozen VITA sites have partnered with local financial institutions to offer taxpayers the opportunity to open a personal checking/savings account while visiting the VITA site. Opening an account would allow a taxpayer to receive a refund via direct deposit within a few days. In addition, the new account holders would also be able to build their credit histories and more easily save money by not having to pay for check-cashing services. Plus, if a refund is delayed or denied for any reason by the Internal Revenue Service, the consumer is responsible for paying back the loan as well as all fees, which typically increase dramatically after 10 days. Before electronic filing, these high interest loans may have been attractive because paper tax returns would take several weeks to process. But with today’s e-filing, state and federal refunds are available within a matter of days when deposited directly into a checking or savings account, all at no cost to the taxpayer. No one should have to take out a loan to access money that is rightfully theirs. The temptation to say “yes” to a tax refund loan can be intense. First, advertisements emphasize the speedy delivery of cash, but the “rapid,” express,” or “instant” refund is NOT a refund—it is a loan that the consumer must pay back with his or her actual refund. Second, the consumer’s refund will not only go to paying back the loan, but also the fees and interest accrued by the loan. In order to generate revenue on these small loans, interest rates are extremely high and can exceed 500% if annualized. The lender may also charge an “administrative” or “application” fee, usually around $30. Of course, this extra cost is the price of receiving one’s refund right away. But a RAL is not an on-the-spot refund. It’s an expensive way to borrow one’s own money. Tax Refund Loans are problematic when borrowers are unaware of the extra cost of interest and fees and don’t understand that getting their refund faster doesn’t mean that they are getting the full amount they are owed by the government. Since tax refund loans are marketed to consumers in need of quick cash, the loans often go to those who are living paycheck-to-paycheck and who would benefit most by receiving their full return, rather than dedicating part of it to interest rates and fees on an unnecessary and expensive loan. Nearly 40 percent of RAL borrowers are eligible for Earned Income Tax Credit, which is available to low-income families. It is these tax payers for whom the powerful anti-poverty tool of the EITC is designed that often find themselves in need of a financially-debilitating RAL. When filing taxes, families generally making less that $35,000 a year and individuals making less than $11,000 a year can receive an EITC not only federally, but also from the state and New York City governments. Consumers should be sure to determine if they are eligible for an EITC, particularly if they have never claimed one previously; consumers can receive up to three years of back EITCs if eligible. EITCs can be claimed through electronic tax filing and anyone who is eligible for an EITC is also eligible for free tax filing with a tax preparer or online. Furthermore, 70% of the nation’s taxpayers are eligible for free tax preparation software and free electronic filing, which not only cuts out accountant fees but also eliminates potential RAL offers. 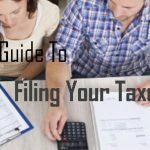 Consumers with an Adjusted Gross Income of less than $50,000 qualify for free filing. Visit www.irs.gov for more information. If consumers find themselves in immediate need of funds during tax season, there are better and less expensive ways to borrow money or rectify the situation. If a consumer cannot make a payment on a bill, the consumer should immediately contact the company issuing the bill, be honest about his or her financial situation, and ask to work out an adjusted payment plan. If a consumer still wants or even truly needs cash quickly, he or she should consider a short-term unsecured loan from a licensed bank. Such loans are subject to, and the borrower is thus protected by, usury caps. However, if a consumer decides to apply for a tax refund loan, the disclosure of the fees, interest, terms, and time frames by the lending institution to the borrower, and particularly to non- or secondary-English speakers, is of the utmost importance. Poor disclosure may lead some consumers to receive a tax refund loan unintentionally, while thinking it is the actual refund.